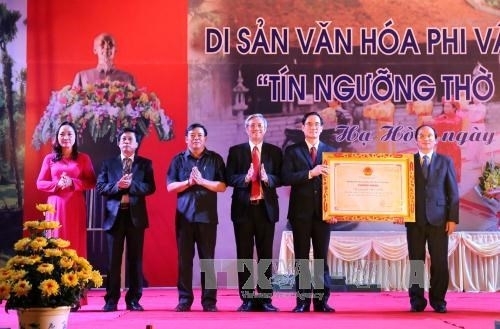 The northern province of Phu Tho on March 21 received a certificate recognising the Mother Au Co worship as part of the national intangible cultural heritage. Addressing the event, Vice Chairman of the provincial People’s Committee Ha Ke San said the Mother Au Co worship at the Mother Au Co Temple in Hien Luong commune, Ha Hoa district, is the first national intangible cultural heritage recognised in the district as well as the province. He urged the district to actively work with the provincial Department of Culture, Sports and Tourism and relevant agencies to preserve and promote the value of the heritage, with focus on campaigns to raise the public awareness of the heritage and encourage the community to preserve and practise the heritage’s rituals in a sustainable manner. Measures are needed to protect the heritage space, upgrade and manage the Mother Au Co Temple site, he said, calling for an action plan to ensure the continuity of the ritual in the current life. The worship of Mother Au Co at the temple is practised in numerous forms, including worshipping Mother Au Co and her children. 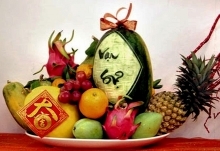 The Mother Au Co Temple Festival takes place from the seventh to the ninth day of the first lunar month. The temple was built under the reign of King Le Thanh Tong (15th century) and named a national historical and cultural relic site in 1991. Legend has it that Au Co, who was a fairy, descended to the earth on the seventh day of the first lunar month. She met with Lac Long Quan and gave birth to 100 sons. Fifty of them followed their father to the sea and the other half followed their mother to the mountains in the upstream Red River. When they arrived in the area which is now Hien Luong commune, Au Co and her children were so captivated by the area’s fertility and stunning landscapes that they decided to settle there, and this was where the eldest son was crowned as King Hung – the legendary founder of Vietnam. 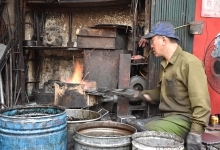 Vietnam has about 8,000 festivals each year. Of which, nearly 90 percent are traditional festivals, 6 percent are religious ones and 4 percent are historical ones.